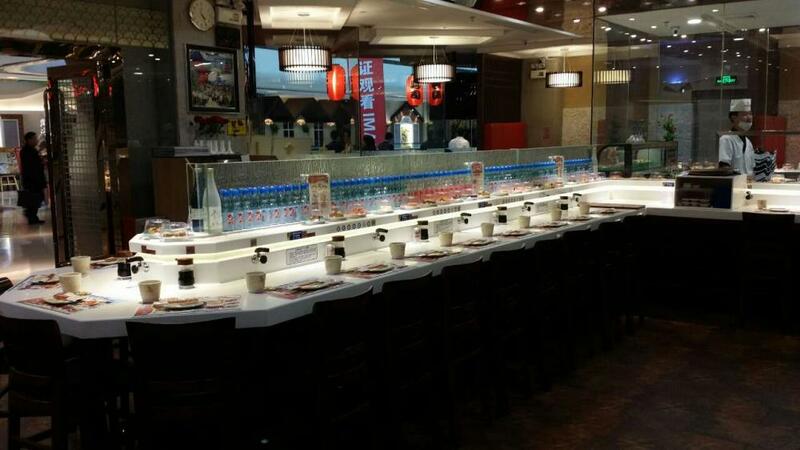 Rotary Sushi Conveyor Belt, the origin of Japan, is a sushi restaurant. The master placed the prepared sushi on a plate and laid it on the High Stablity Sushi Conveyor Belt, with the conveyor belt around the restaurant. Although customers can request the production of sushi master, but most of them are still in the transport belt to choose to eat sushi. Sushi on the price of different colors on the plate on the Sushi Belt Equipment. After meal, the clerk pays the bill according to the plate on the customer's table. Passive wheel Power wheel bending a driving wheel used the 45 steel of carbon steel. Looking for ideal Sushi Belt Automated Conveyor Manufacturer & supplier ? We have a wide selection at great prices to help you get creative. All the Rotary Sushi Conveying Belt System are quality guaranteed. We are China Origin Factory of Food Grade Rotary Sushi Belt. If you have any question, please feel free to contact us.